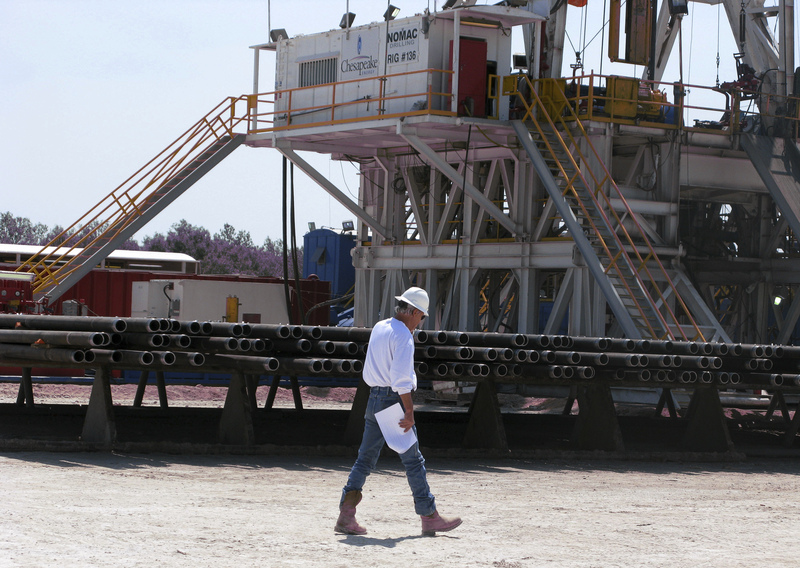 A tougher board is supposed to be keeping spendthrift CEO Aubrey McClendon in check. Yet in the third quarter, capex fell only slightly as drilling costs rose, and Chesapeake added debt despite asset sales. Progress reducing reliance on gas isn’t enough to restore credibility. Chesapeake Energy on Nov. 1 reported a $2.1 billion net loss for the third quarter, compared with a profit in the same period of 2011. Low natural gas prices caused the U.S. oil and gas company to write down the value of some assets. Chesapeake has pledged to sell about $14 billion in assets this year to cut its debt and improve liquidity. The company is also drilling for pricier crude oil and natural gas liquids. The company said it is pursuing the sale of some of its properties in the Eagle Ford basin in south Texas and expects a joint venture for its acreage in the Mississippi Lime in Oklahoma and Kansas to be announced by the end of the year. Chesapeake said earlier on Nov. 1 that it was working with banks to issue $2 billion in debt to pay off more expensive loans.